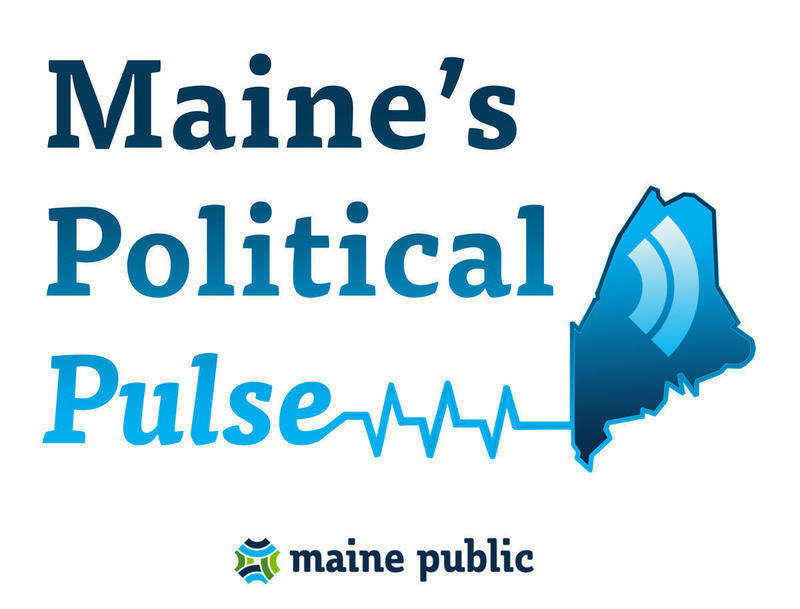 It's Friday, and that means it's time for another edition of Maine's Political Pulse, with Maine Public's politics team in Augusta, Steve Mistler and Mal Leary. This week, Irwin Gratz and the team look at 2nd District race loser Bruce Poliquin's chances of succeeding in his request for a recount, and with his court challenge of ranked-choice voting. GRATZ: Maine's political pulse is back. I'm Irwin Gratz, with political correspondents Steve Mistler and Mal Leary. Well, Republican Congressman Bruce Poliquin is continuing to push back against the ranked-choice vote count. The Democrat, Jared Golden, won by some 3,500 votes. Poliquin has demanded a recount, and he's also continuing with the lawsuit that claims using ranked-choice voting is unconstitutional. Poliquin also continued to wage a public relations battle against the vote, calling it "chaotic," saying voters were confused. Mal, have you heard these kinds of arguments before about a vote? MAL LEARY: In terms of a general election, no I haven't heard those arguments. But we heard the arguments coming from the Republican Party last spring when they were arguing in state court, and in federal court, arguing against ranked-choice voting, saying it was unconstitutional and that voters would be confused. I would say, based on talking with some town clerks myself, there might have been a few times when voters were confused. But they were more confused about the fact that ranked-choice voting was being used for congressional races but not the governor's race - which, of course, is a function of the state Constitution, which says you can't use ranked-choice voting for the governor's race, it has to be done by plurality. All right. Well, Steve Mistler, let's talk about that. Attorneys for Poliquin and the three 2nd District voters who are suing filed some new legal arguments this week. What are they claiming now? And what do they want the judge to do? STEVE MISTLER: The arguments haven't changed all that much, but what they're asking for has. And, basically, what they're asking for is for the judge to invalidate the run-off portion of the election. As we all know Jared Golden won in the run-off portion of the election. They want the judge to get rid of that and basically declare Poliquin the winner because he happened to have a lead going into the run-off portion. Now, I try not to use sports analogies, but this is a little bit like a football team asking the ref to call the game at half-time because they happen to be winning and ended up losing in the second half. I don't know how a judge would grant something like that, given that they could have challenged this ranked-choice voting any time between the time that we had a ranked-choice voting election in the primaries and the November election. They chose not to do that - they chose to do it after the November election, which is a big point that's raised in Golden's case, the secretary of state's case. They're basically saying it's too late. We've already done this. We've had four candidates, one of whom - Tiffany Bond, one of the independents in the race - said she wouldn't have even have run if it wasn't for ranked-choice voting, if it was a straight up plurality election. And she's sent a affidavit to the court affirming that. Now, the arguments that Poliquin's attorneys have made are virtually no different than they made when they were trying to get the judge to halt the secretary of state's run-off. The only thing that's changed is what he's asking the judge to do. And the judge disassembled a lot of those arguments when he ruled against stopping the run-off. Mal, let's talk about the recount for a bit. First of all, how long is it going to take? What's it going to cost? Who's going to pay for it? LEARY: It's going to take several weeks, according to Secretary of State Matt Dunlap. He's trying to guesstimate what it will cost - somewhere between $75,000 and $100,000 - and that's going to have to be paid for by Mr. Poliquin, because the margin was greater than the 1 percent under which the state would then pick up the cost of the the recount. When you go through the recount process itself you have panels of counters from both sides going through each one of these ballots. There are over 300,000 of them cast in the 2nd Congressional District. So that just gives you some idea of how long it's going to take, even if they work, you know, five days a week all day long. Now, it seems like a lot of money, and it kind of suggests that it's not just Congressman Poliquin but perhaps the Republican Party that wants this outcome changed. And one wonders why are they pushing so hard for a seat that's not, in the end, going to affect the balance of power in the new House. MISTLER: I believe that Republicans see ranked-choice voting as an existential threat to hardline conservative candidates and their ability to win statewide elections. Now, I think that's one reason why they are fighting this so hard. They have benefited from plurality elections where the Democratic candidate or Democratic opponent and independent or unenrolled candidates split the vote. With ranked-choice voting that doesn't happen. This is basically a campaign against ranked-choice voting. You know, I understand why they would do that, frankly. It will make it more difficult for hardline conservative candidates to win. And I think that's one of the reasons why you're seeing Poliquin spending - potentially spending - his own money. Potentially not faring very well in a legal case, he can use this to further polarize the electorate against ranked-choice voting. And I suspect, too, that this becomes almost a national issue, because this is the first time it's been used in a congressional election. And, presumably, if it survives the legal challenges and the other challenges in this state, one could see other states doing the same. MISTLER: Well, I think you just hit on a really important point, Irwin. And that's very true. I mean, this group, Fair Vote, which has been a big advocate for getting ranked-choice voting here in Maine, they're not stopping at Maine. They want to take this to other states. I believe there's some interest in Massachusetts to do this, Minnesota, I believe. This isn't just a Maine issue - it could potentially affect whether other states decide to go forward with this. Gentlemen thank you both very much, appreciate it. Originally published Nov. 30, 2018 at 8:30 a.m. ET.